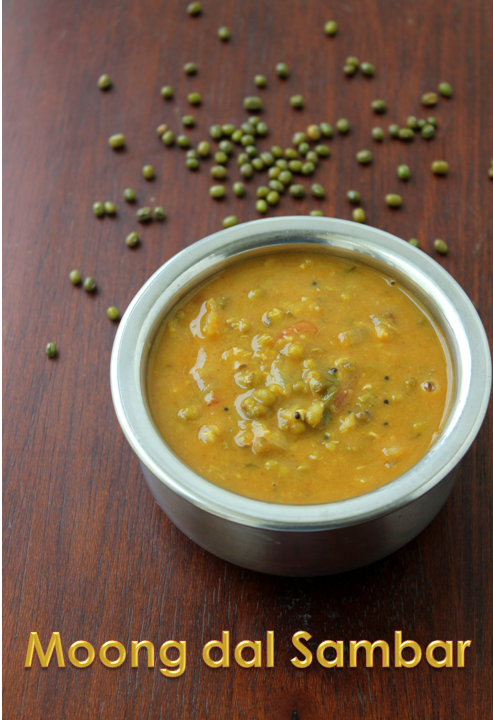 Soak Green gram dal for 3 to 4 hours.Pressure cook for three whistles or until mushy. Soak Tamarind in hot water and extract the pulp three times. Heat oil in a pan crackle mustard seeds,add red chillies,fenugreek and Asafoetida. Add chopped small or big onions and fry for a minute,add tomatoes and cook till tomatoes are mushy. 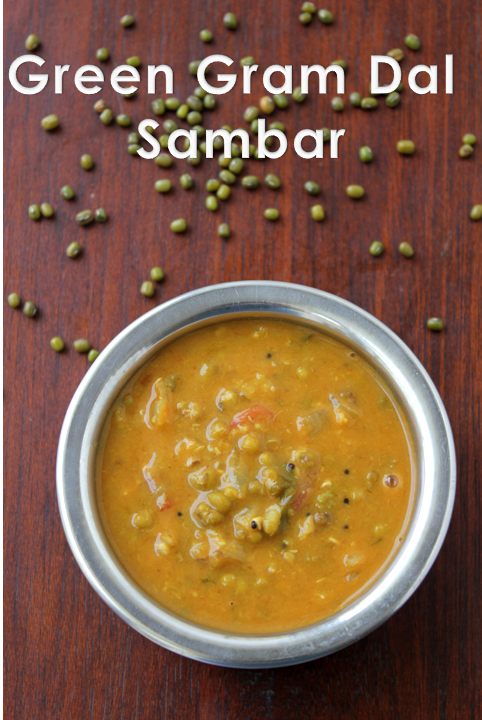 Pour the extracted tamarind water,add sambar powder,salt,jaggery and let it boil until the raw smell goes from the sambar powder and tamarind water. Now mash the dal a little and add it to the boiling tamarind water.Let it thicken to get the required consistency and switch of the stove. It is slightly thicker than the tur dhal sambar. Enjoy it with some hot rice and vegetable to go with.